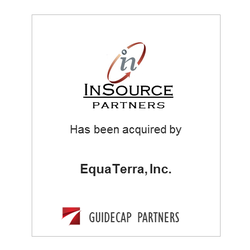 Insource Partners Corp., an IT infrastructure consulting firm, was acquired by Equaterra, Inc. The acquisition will enable EquaTerra to provide its clients with more information technology expertise, robust assessment tools and methodologies. ​GuideCap Partners provided a fairness opinion to Insource Partners.